The powerful Qualcast Suffolk Punch P14 SK Petrol cylinder mower takes larger lawns in it’s stride producing a perfect traditional striped finish and scissor like cut. 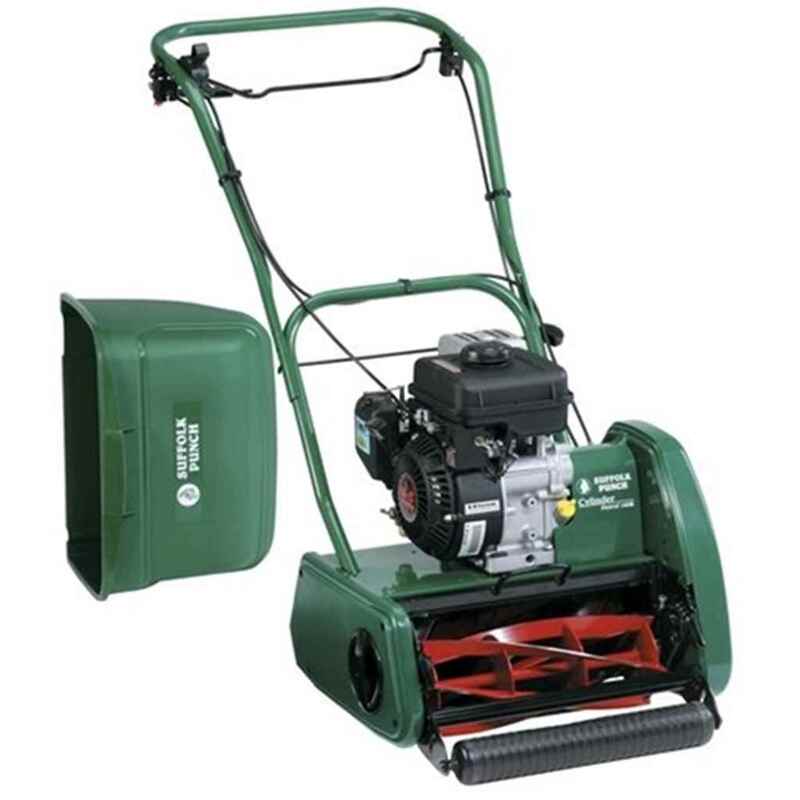 This cylinder mower has a aluminium deck and heavy rear roller that will make light work of mowing your lawn. It has a removable QX™ cassette system for easier blade sharpening and maintenance. This also allows the optional scarifier cassette to fitted which transforms the Suffolk Punch P14 SK into a powered lawn rake; leaving you with a moss free lawn. The manufacture of the Suffolk Punch 14SK has been taken over by Allett Lawnmowers, a quality British manufacturer, with the price, design and specifications remaining exactly the same.